"I couldn't be more happy and pleased with the professionalism and quality of services provided by Kelli Mans and the RE/MAX team. Kelli is a 10/10 across the board. My home purchase was a bank-owned foreclosure, which can be troublesome by nature, and was my first home purchase. From the showing to closing, Kelli was fantastic. With Kelli's help and great negotiation skills, I was successfully able to purchase the foreclose for less than listing price; this was incredible as foreclosures don't typically sell for less than asking. As this was my first home purchase and being that it was a foreclosure, I had many questions throughout the process. Kelli was always readily available to answer all of my questions. If there was ever a question that Kelli could not answer on the spot, which was rare, she was quick to look into the situation and get back to me. Kelli also provided great recommendations for home inspectors and contractors, all of which I was very pleased with. Purchasing my home was truly a great experience. Come time I may be inclined to move, Kelli will, without doubt, be the first person I call to help me sell my home and purchase a new one." "Kelli was patient and knowledgeable. I learned a lot about the areas and appreciate all the time she took to help us find the right home. We really enjoyed working with her." 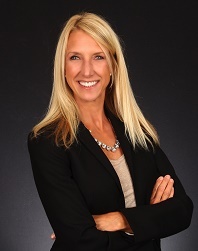 "Kelli Mans made our home buying process phenomenal! A positive attitude every step of they way also made sure we we're in good hands. Our son adores her and was super excited anytime we went out to look for houses. Thoroughly impressed and honored we got to work with such a great realtor." "This was the second time we have used Kelli for a house transaction, and once again we were very pleased. Not only did she give us good ideas to prepare our home for sale, but also participated in the process. Her knowledge of the area and the market made it possible to sell the house quickly, and even a bit above asking price! She is readily available for questions, and her friendly personality make doing business with her a pleasure! We would recommend her to anyone." "Great experience working with Kelli. She pays attention to all the details and is very responsive. We found her to be very knowledgeable in all the steps involved in the transaction. When negotiating the final price, she had a great understanding of the seller position and wants. This allowed us to close the real estate deal in a positive manner for all parties." "Kelli was awesome! She did a great job marketing our unique property and helping guide us through the process. I would highly recommend her for all your real estate needs." "Kelli is excellent realtor. It did not matter what day or time it was, she always responded to my questions very promptly. She really knows what she is doing and knows how the real estate business works. She walked us through everything and was very open-minded about our requests and opinions. She supplied very helpful tips and always went above and beyond the call of duty. Very impressed." "Kelli went out of her way to ensure the sale of my mother's house went smoothly. She was patient, kind, and professional during every step of the process." "We feel so fortunate to have had Kelli Mans recommended to us! She made our relocation process from New York incredibly easy and has continued to be extremely helpful while we settle in." "Kelli is extremely approachable and honest; my husband and I trusted her immediately. Kelli was so easy to work with when purchasing a home that we decided to have her sell our home too. Both transactions went smoothly and we were more than satisfied with our entire experience with Kelli."